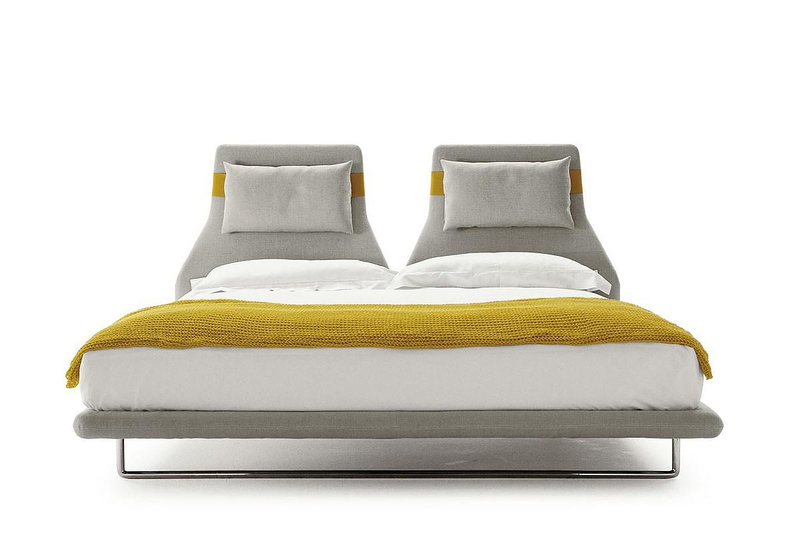 HomeBlogHome DecorLazy Night Bed by Patricia Urquiola for B&B Italia. The Lazy Night Bed features an innovative headboard that consists of two independent elements, softened by adjustable cushions. This is actually a practical idea for those that love lazy nights or staying in bed most of Sunday morning. Instead of trying to keep cushions, folded blankets and your children’s teddy bears in place to support your back, the Lazy Night bed features elastic bands that keep each cushions in place, at the preferable height. The elastic fabric bands are available in bright and contrasting colors. You can adjust them at any height it is comfortable for you to read, watch TV or drink your coffee. 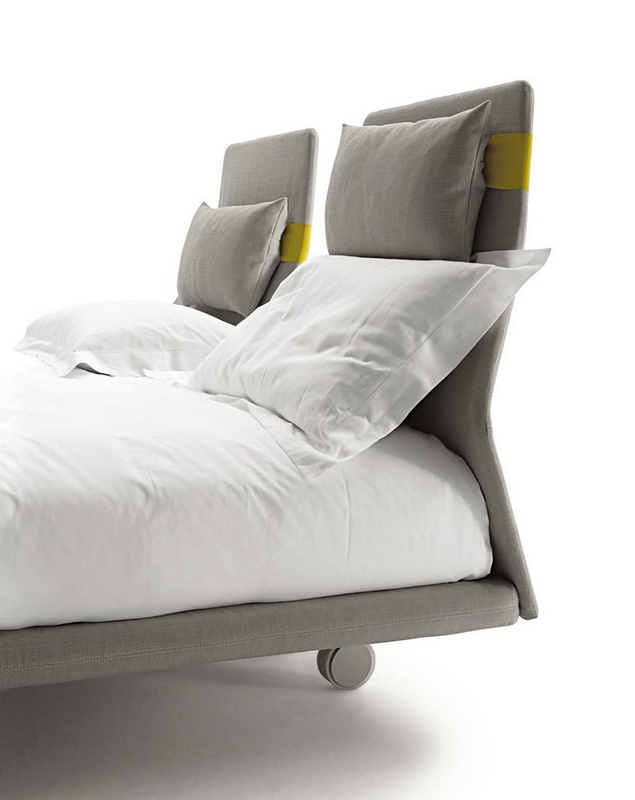 The overall design of the Lazy Night bed is minimal, with a simple metallic frame support that make it look as if the bed is floating in the air. 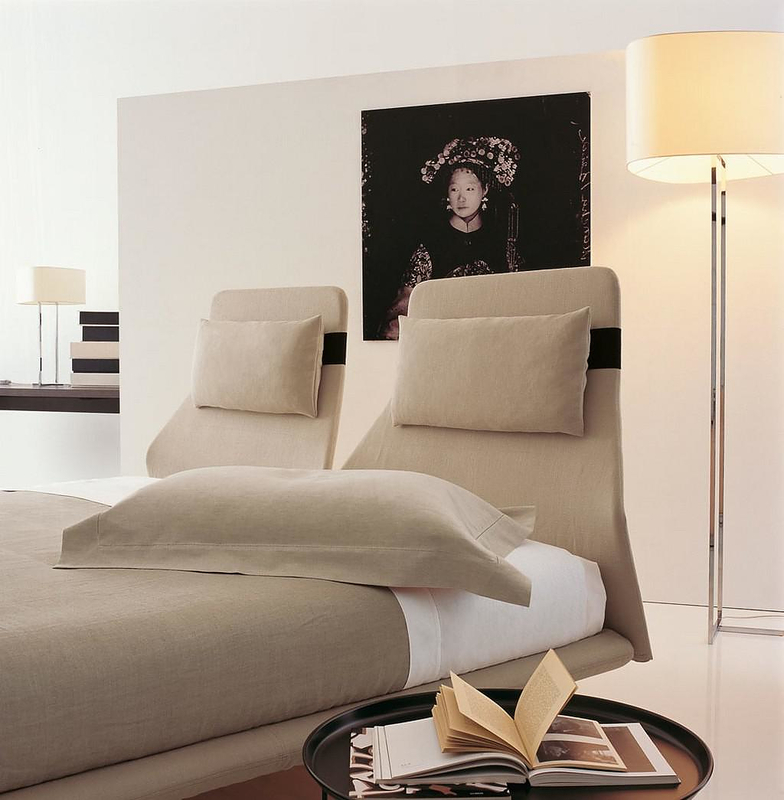 B&B Italia is one of the top furniture firms in Italy. Since 1966 they continue to add innovative designs to their collections by collaborating with many contemporary designers. 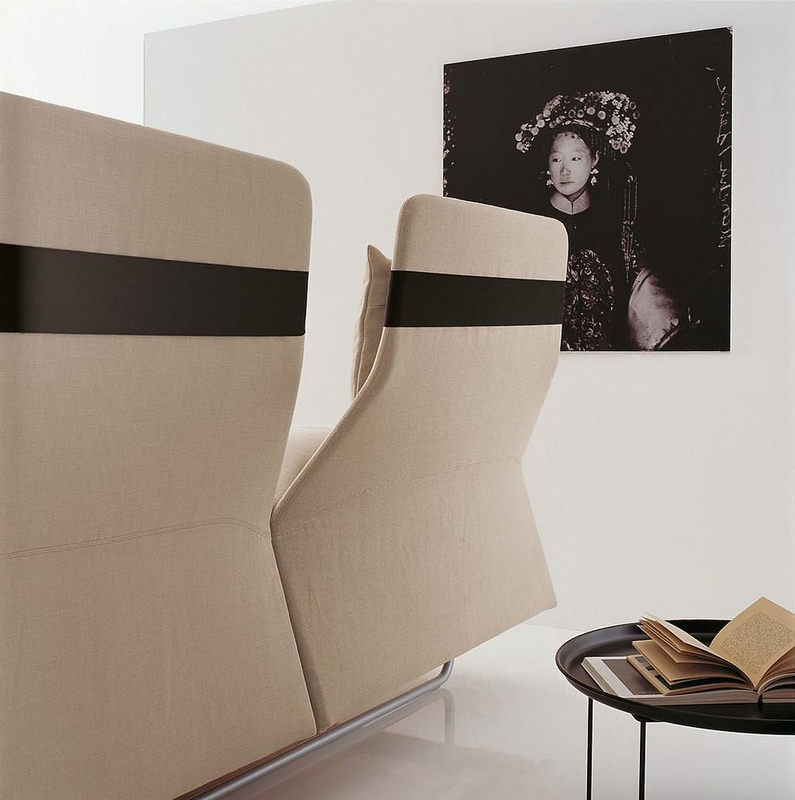 Patricia Urquiola is a well-known designer that has worked for some of the most prestigious firms in the world. Her works are part of the permanent collection of the MoMa, New York, as well as many other international design museums. The Spanish designer has been awarded with a series of international design awards and she has also received the Medalla de Oro en las Bellas Artes (2010) by the Spanish government.